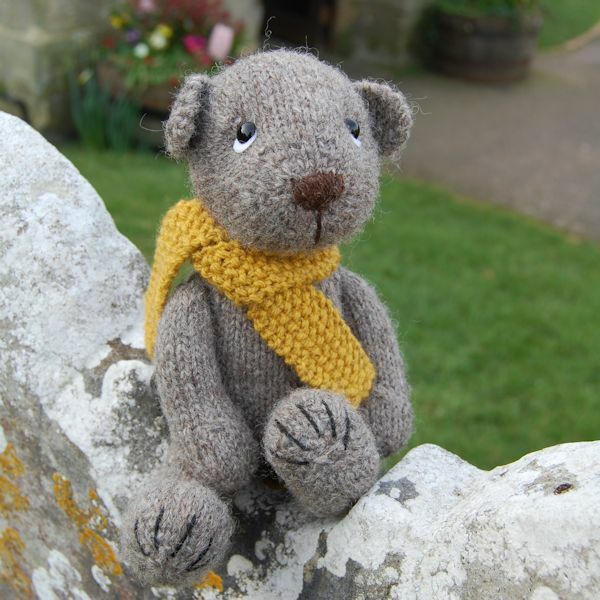 The very first Gotland wool teddy bear I made was especially for our village reverend and he has been living at the vicarage ever since, Bjorn has even been known to attend some of the services! 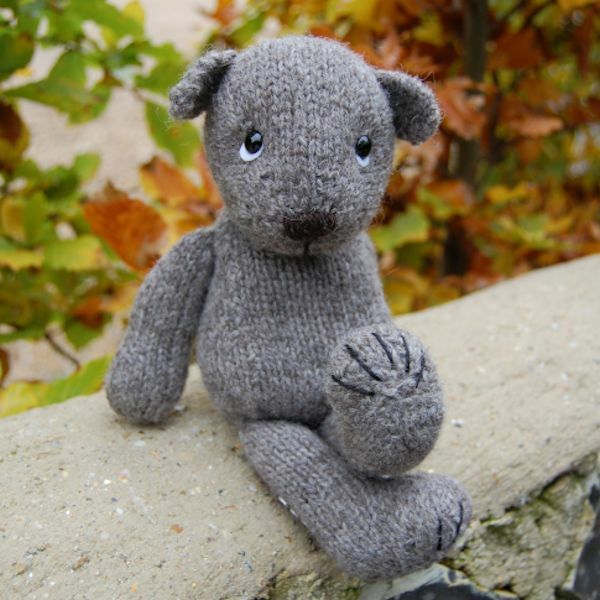 Using the natural colour for Bjorn, a mid grey, the longwool fleece of the Gotland sheep is soft and the texture so light, it can be similar to that of a fine mohair. 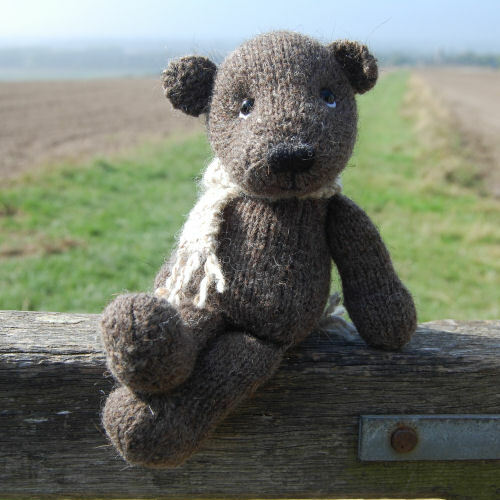 Ideal for making a very light weight and huggable bear! 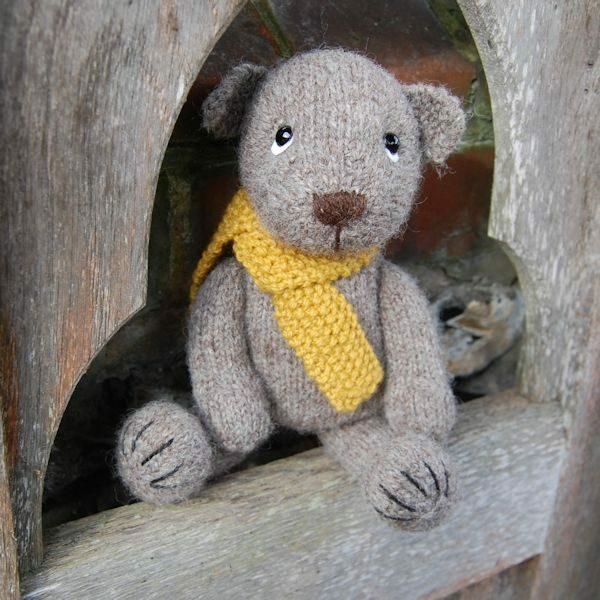 The very cute Bjorn also has hand made glass eyes and an embroidered wool nose. 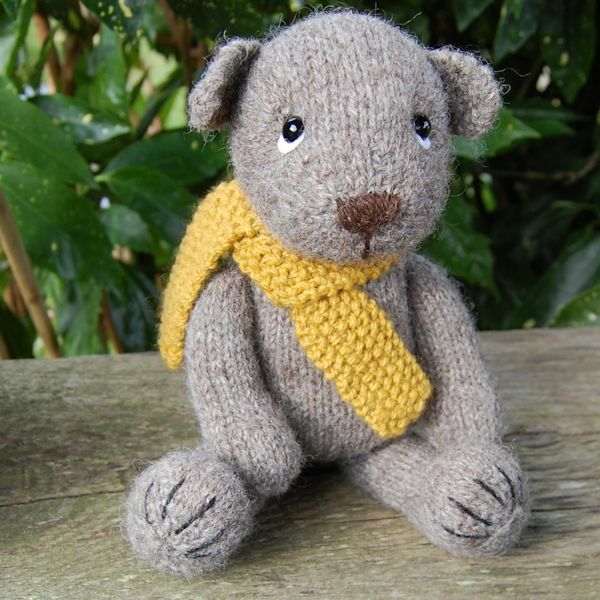 His little moss stitch scarf is knitted in hand dyed Shetland wool. 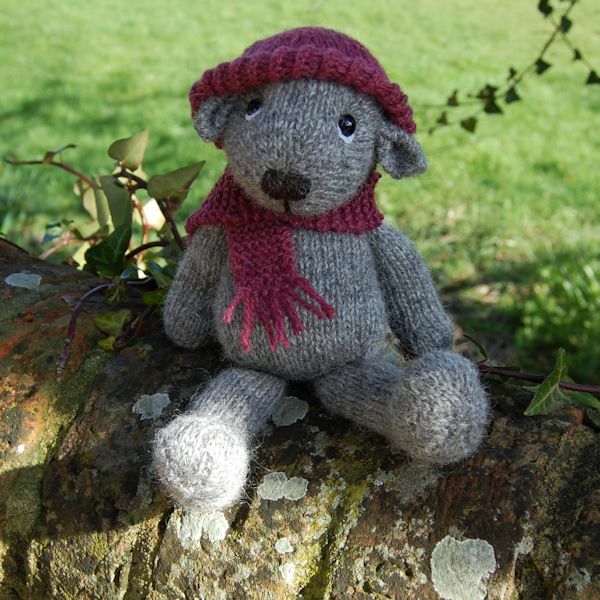 Originally from the Island of Gotland, off the coast of Sweden, these sheep are hardy and although not numerous in the UK, with only around 200 registered ewes, they are becoming increasingly popular. 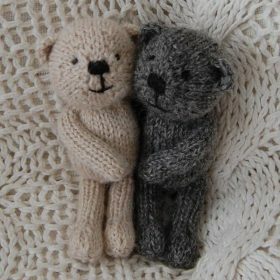 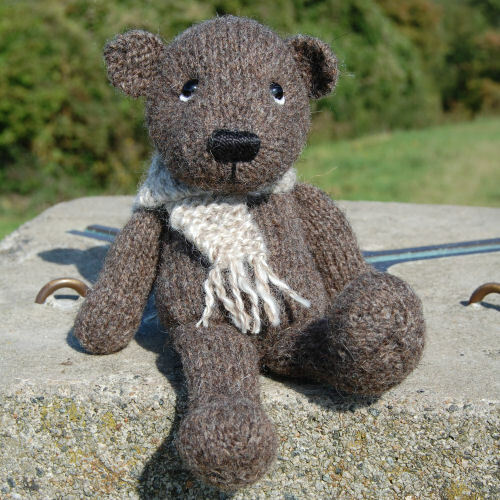 Little knitted teddy bear Bjorn is hand made to order. 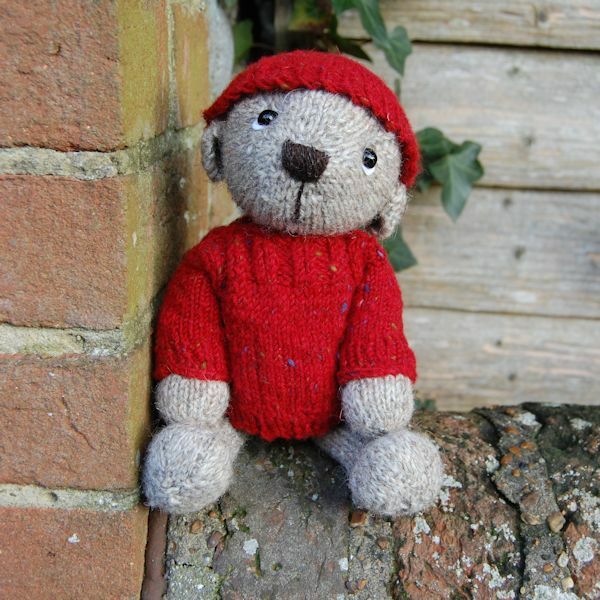 Please note that Bjorn has glass eyes so he is not suitable for babies or children.